Tickets are $25, although a VIP package is available for $75 per person and includes a one-hour meet-and-greet with Mr. Nicklen, refreshments, polar-themed gifts and preferred seating. For details of the speaker and/or to buy tickets, go to http://www.paulnicklen.com/speaking-engagements and scroll down. 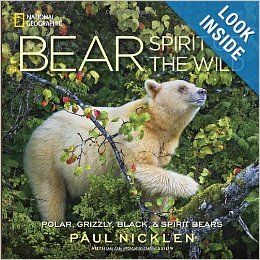 In a susequent addition to this topic, on March 2, I have added details of Paul Nicklen’s book ‘BEAR — The Spirit of the Wild’ (click to go to that page) .